We hope you’ll join us for this exciting Early Birders presentation! Join Master Naturalist and Master Falconer Shane Brandes and Master Naturalist Tricia Easterling for a presentation on raptors. 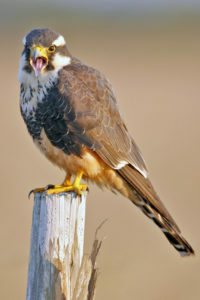 You’ll also meet Shane’s Aplomado falcon, Athena. Early Birders field trips are supported by a grand from the Department of Game and Inland Fisheries. They are designed for kids ages 6-12 and their families.